2 Also, follow us on Facebook, Twitter & Google+ for our latest updates. In an urge to create something that can capture life events, a series of recording devices have evolved from our inventions. 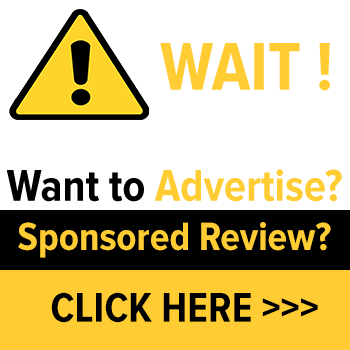 Besides being a great fun, seizing the right clip out of a video recording has always proved to be a task full of trickeries. Thankfully the current computer generation has a way easier access to digital editing tools to get the job done. 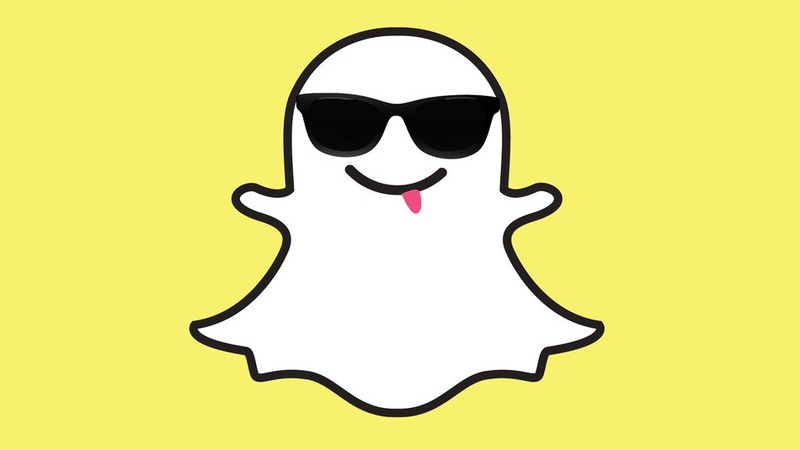 In this article, we will be discovering one such video editing app that can help you build a video right from scratch, i.e. how to download Final Cut Pro for Mac full version. 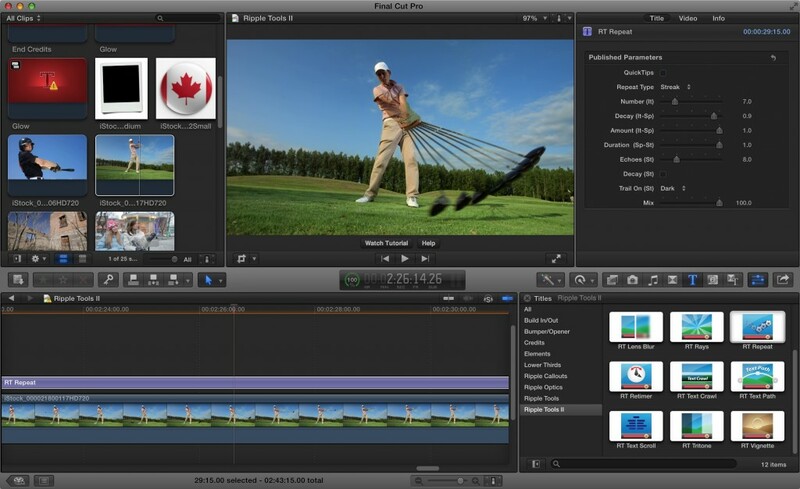 It is non-linear video editing software, built in the laboratories of Apple Inc. and serves Mac users. Since its invention in the early 2000s, the software has developed at an exponential rate. 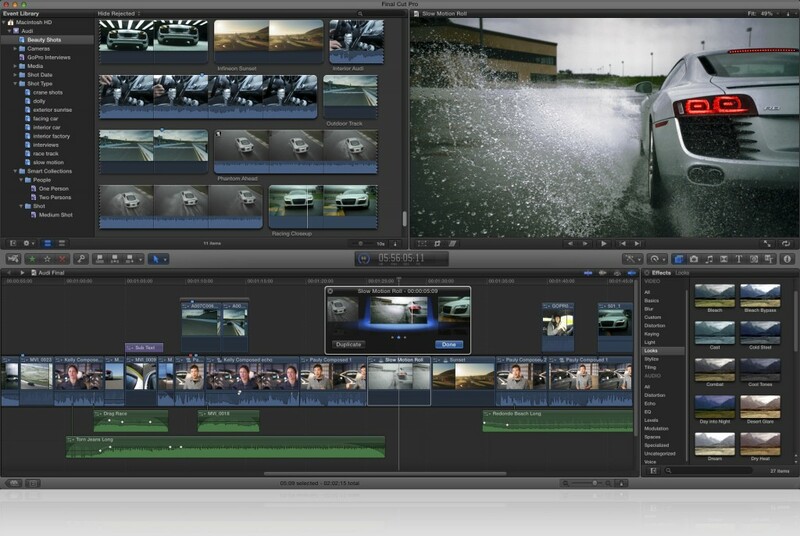 Built from ground zero and upwards, Final Cut Pro handles post production workflow with great agility and quality. Sequentially place video clips in its magnetic timeline and toast a brand new video with absolutely no clip collisions or sync problems. Then use ‘Clip Connections’ option for attaching B-roll, introducing sound effects and playing background music on the timeline. But performing such artistic activities could turn out to be quite confusing. Depending on your handiness with any other tool available in the market, this hit and trial of yours could be quite time-consuming. Hence, Apple uses compound clipping, which reduces clutter by assembling clips into a ‘Compound Clip’. 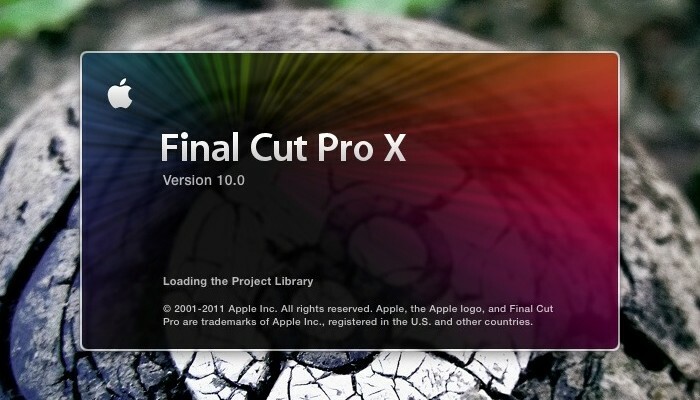 Even if the collection of your work has somewhat grown enormous, but with Final Cut Pro it will never turn messy. You can operate through various shots, graphics, or added effects, from the same place in the timeline along with auditions. Further, if you are planning a project involving multiple cameras, then you can certainly count on this Apple product. Final Cut Pro could be of great use in these tough times, by providing for automatic sync up and supporting up to 64 different camera angles. Its state of the art ‘Inline Precision Editor’ adds perfection to your work and further improvises on your timing. 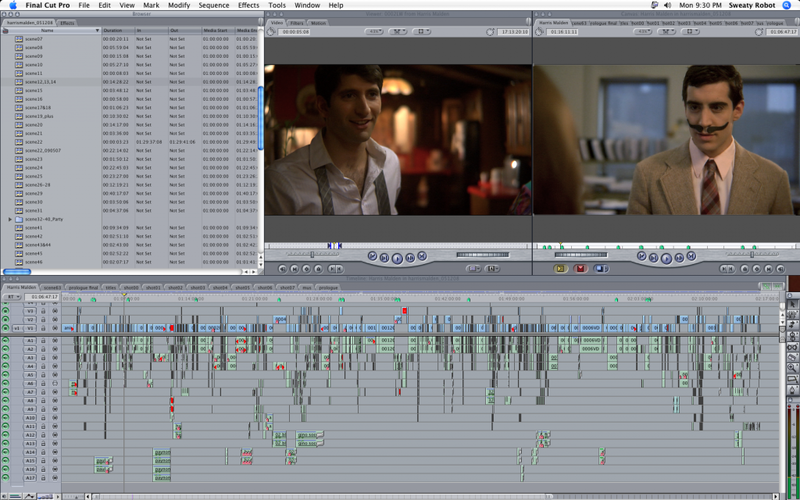 Whether it is cooking or video editing, every kind of work looks tangled if it is not sincerely organized. 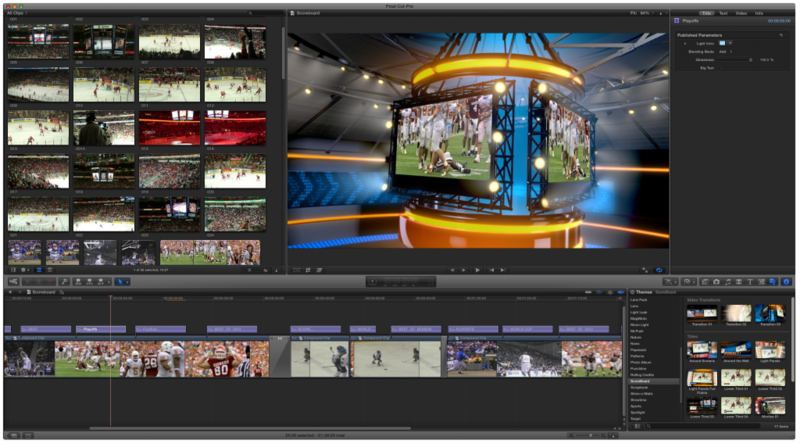 The powerful media organization tools available with Final Cut Pro let you compartmentalize your work within its libraries. With illustrative media management and collaborative work, you can handle video clips more efficiently. These series of smart tool collection let you categorize all the contents and pinpoint your favourite shot in just a few clicks. You can even create ‘custom keywords’ to name the selected range in a video clip and put them together in an orderly manner. Final Cut Pro is laced with Graphic Processor Units to provide you with a superior real-time playback performance and faster rendering. It has been created around a heavy 64-Bit processor, which efficiently exploits every bit of RAM available within the system, and suffices for larger projects with a richer effect. Its top of the line processing units perform all the background processing while you uninterruptedly enjoy adding your touch to every bit of the video. Once you are through building the video, you can route it through HDMI or third party PCIe devices for the purpose of external monitoring. What is digital editing without some compelling effects? Give a sensational stroke to your creation with some easily customizable 2D and 3D titles. ‘Keyframe Editor’ assists you with streamlined controls for creating a more precise and sensational results from these titles. It appears directly in the timeline and holds the power to yield most out of you. Along with the titles, you also get to change the transitions and effects, with the help of its intuitive tools. After doing all the editing work, you can preview your idea before actually applying it in your project. A third-party FxPlug plug-in can also be used, along with custom interfaces and dual -GPU support. If the video manipulative controls amaze you, then wait till you see its audio editing abilities. The integrated audio editing tools can be expanded to work across multichannel audio files, directly from the timeline. Final Cut Pro will fade all your queries regarding a disturbed audio quality. By significantly replenishing the input clip, the software eliminates common audio problems, including hum, excess noise, dribbling sound, etc. Easily sync a DSLR video with separate audio track and match its waveform to meet your demands. The output to such a combined effort is a video clip with all aspects in mint condition. After you have handled everything in the background, it’s time that you brush your video in vibrant shades. Apply its ‘Balance Colour’ feature in a single click and change the looks of any clip at all. As the requirement of these ‘shades and fades’ vary with the task, a ‘Match Colour’ feature is present with Final Cut Pro for bringing colour tones parallel to each other. Any two clips which have been shot in a different ecosystem can be edited with Match Colour for developing likeness in every aspect. As for tuning the colour, its saturation and exposure, you can use ‘Colour Board’ for all the mix and match. Final Cut Pro helps you in modifying selective regions of the screen in accordance with the colour range in your mind. This enhanced feature has been possible with a brilliant move of keying and using masks for a uniform finish in colours. Having tried every sort of experiment with your video clips, it is time for the world to witness your craft. 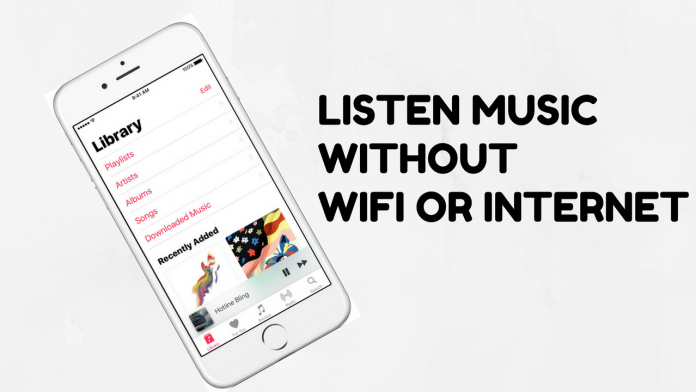 You can deliver your projects for playback on Apple devices and other media relevant websites like Vimeo, Facebook and YouTube. Also, try burning DVDs of your work in a snap, with the themed menus of Final Cut Pro. The extent of HQ video discs can be heightened to Blu-ray quality if you have a separate recorder for doing so. The application maximizes the output of your effort by using Roles metadata and providing with options to release your work in multiple versions. You can also root your workflow in support of a third party by thorough import and export of XML files. In spite of working across several platforms and formats, the finer detail of the video is never lost, as ‘Content Auto-Analysis’ captures all the metadata while examining the background shots. An upgraded version to this app has been recently released as Final Cut Pro X, that allows its user to log and transfer video on a hard drive, where it can be processed in different formats. So now the question is, can your Mac run this software? It will take you a system with OS X v10.10.4 or later operating system, with minimum 4GB of RAM or 8GB for a 4K quality. Other than that, an Open Computer Language capable graphics card, this can also be fulfilled by Intel HD Graphics 3000 or later versions. As for VRAM, Final Cut Pro will require at least 256MB of these, and count that as 1GB for 4K and editing the 3-D title. Even if the entire math appears to be huge, its recently updated version 10.2.2 takes only 2.83 GB of disk space and can be used in 6 different languages, including English, German and French. The host of features loaded within single software is what makes Final Cut Pro a master professional app, and a great hit among video hobbyists and independent filmmakers. As such, the software has also made inroads with film and television editors who were earlier clung to traditional software. The list of these movies includes blockbusters like 300, The Ring, Happy Feet and John Carter. So the price tag atop this golden formula has been labelled in accordance with its scientific precision, at INR 18500 and can be downloaded from iTunes.